I don't get HBO (or BBC) so I hadn't heard about No.1 Ladies' Detective Agency, a Peabody award winning show, until I saw it listed on Netflix. After watching the first season on DVD I thought: what a cute show! I had read the first book and loved it, and was happy to find that Alexander McCall Smith's funny and charming novels were faithfully adapted for the television screen. 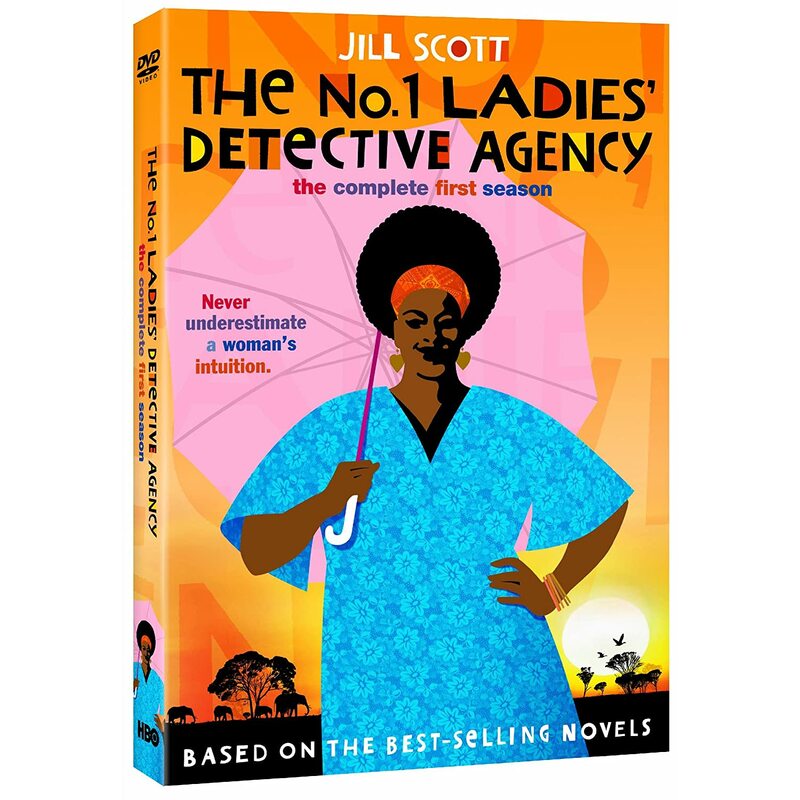 For those of you not familiar with the books, the story takes place in Botswana and centers around a head-strong, confident, and curvaceous African woman named Precious Ramotswe, played by Grammy Award-winning singer/songwriter/actress Jill Scott. 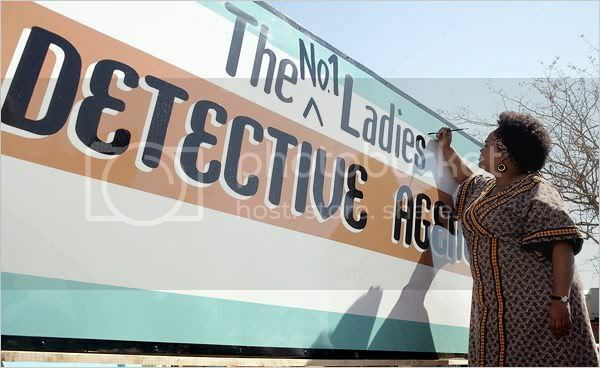 Precious Ramotswe is left a whole herd of cattle by her father and decides to use the money to start her own business -- Botswana's first lady detective agency (that would have been my first instinct too. Ha!). Like in the books, the main focus of the TV show isn't actually the mysteries, but rather on Precious, her relationships with her friends, and her everyday life in Botswana. Actress Jill Scott completely makes this show. She lights up the screen with her bright, luminous face and you can't help but be drawn into her character. The brilliant supporting cast includes Tony-Award winner Anika Noni Rose, who plays Precious's hilarious secretary, and Lucian Msamati, who plays the car mechanic who is devoted to Precious. At times the acting of some of the bit characters isn't the best, but somehow their poor acting makes the main players feel more authentic and adds to the infectious charm of the show. And the setting! Even though I've never been to Africa, Botswana comes across as warm, familiar, and cozy despite the poverty and illness that they don't attempt to gloss over in the show. I almost feel I've been to Botswana even though all I've really done is watch TV. All in all, this show is heartwarming, relaxing, and (yes, I'll say it one more time) charming. I hope they're planning on making another season because this show sparkles like a real Botswana diamond (you'll have to watch the show to get the joke). This sounds like a great show Amitha. Totally missed it when it first ran on HBO but will look out for it to check out, sounds like really solid stuff ! I loved the No. 1 Ladies Detective Agency books and the HBO/BBC series was a superb adaptation. I can't wait for the next season. I've seen rumors online that there will be a season two! Fabulous, I love the characters and the stories.